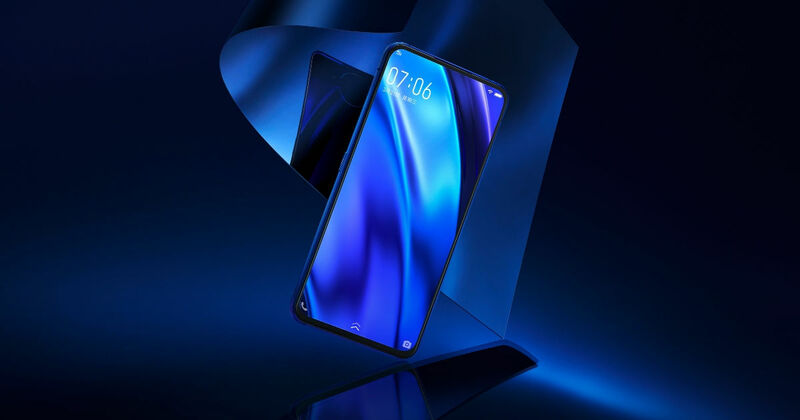 It’s quite surprising that less than ten months after the launch of the incredibly innovative Vivo NEX (review) smartphone, the Chinese brand has followed it up with an equally eye-catching NEX 2. The first device countered the notch by introducing a pop-up camera, but this new model has different intentions altogether. In a bid to offer a full-screen, bezel-less fascia, it has placed another smaller screen on the back of the device. And that’s not the only thing that will astonish you about this smartphone, as it even ships with 10GB of RAM as standard. But in case you want a lowdown on all its interesting aspects, we’ve got you covered with the top 5 features of the Vivo NEX 2. The primary function of any notch is to incorporate the front camera. But Vivo has gone ahead and eliminated the selfie shooter completely. The second screen at the back means you can click selfies with the rear cameras while using the rear display as the reference screen. Both these panels can be used to access all the functions of the phone. While the one on the front is a 6.3-inch display with a resolution of 1,080 x 2,340 pixels, the one on the rear surface is a 5.5-inch screen with a traditional 1080p resolution. It’s worth noting that both these screens are AMOLED in nature, and the front one even features an in-display fingerprint scanner. Lastly, switching between the phone’s two displays is as easy as swiping three fingers from the left to the right on one of them. The lack of a front camera has resulted in Vivo equipping the NEX 2 with three rear cameras. One is a 12MP f/1.8 main sensor with OIS and dual-pixel autofocus, another is a 2MP f/1.8 secondary sensor, while the third one is a TOF camera, which we’ll talk about later. The large apertures on the two initial cameras mean that low-light photography will be great on this phone, and there’s also specialised Night Video Camera to take advantage of. And the same two cameras will also be acting as the selfie shooters. This not just means high-res selfies, but also guarantees a portrait mode for achieving impressive bokeh effects. There’s a third TOF (Time of flight) camera sitting beside the two main rear cameras. This one is meant to deliver a 3D face unlock functionality, much like what Apple’s newer generation iPhones offer. This camera helps in creating 3D maps of your face, which translates into a way better security than what regular face unlock tech can achieve. But this only means that only the rear screen will be unlocked using this technology. That’s no biggie, as Vivo has already had the front screen unlock covered with the in-display fingerprint reader. As you may have figured out till now, the Vivo NEX 2 has taken huge strides in the design department. Its dual-screen nature is one thing, but what this effectively means is that its front display is devoid of any noticeable bezels. Another interesting feature onboard is the Lunar Ring on its rear surface. With the phone kept face down, this ring will act as a pulse notification reminder. The phone also excels at delivering diffused light while capturing low-light selfies. The rear-facing screen of this phone also has a few more usage scenarios, as described by Vivo. It can be used as a rear touchpad for gaming, or also to show the photographer as well as human subject the image that is being framed at any given time. All the phones that have offered 10GB of RAM till date have only granted it to higher-end models, but the NEX 2 is among the first devices to deliver this feature as standard. So its 10GB RAM model is the only variant you can purchase this phone in, and it will also come with 128GB of storage. Other specs also remain top-notch, i.e. the Snapdragon 845 chipset, which offers a 2.7GHz octa-core processor and the Adreno 630 GPU. In sum, the Vivo NEX 2 has too many innovations packed into it to describe in one breath. It’s fairly certain that this is a handset that will end up dictating a number of trends in 2019 smartphones.